We are a leading Manufacturer of anti static bag from Chandigarh, India. 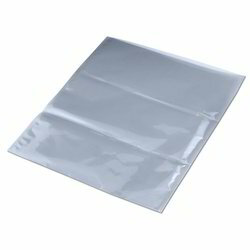 Being a client-oriented firm, we are engaged in offering an exclusive range of Anti Static Bag. Our provided bags are widely used in pharmaceutical industries. No electrostatic charge is present inside this bag therefore it is used for packaging of bulk drugs that is manufactured by the pharmaceutical industries.